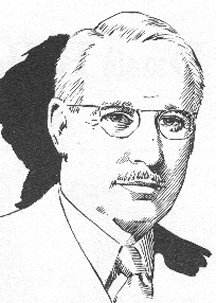 Harold Rudolph Foster was born in Halifax, Nova Scotia, on August 16, 1892. Many of his English-Prussian ancestors had been seafarers from whom Hal inherited a love of the sea, the outdoors, and adventure. 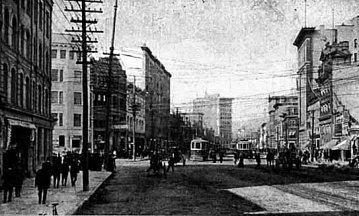 His father died when he was four and in 1906 his financially-strapped stepfather moved the family to Winnipeg, Manitoba. Here he excelled in many sports: boxing, lacrosse, hockey, rugby, football, and baseball. Harold was largely self-educated as the failing family fortunes forced him to leave school in grade nine. He developed a passion for art and helped support the family and pay for art school by hunting and fishing. His first art job was doing illustrations for the Hudson Bay Company mail order catalogue. During this time he married Helen Wells in 1915. 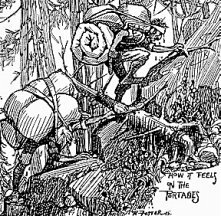 Later, when he could not find enough work as an artist to support a wife and two small children, he moved north to work as a wilderness guide and prospector in the Canadian Shield area of Manitoba and Ontario. 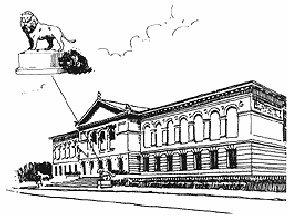 Hal and family returned to Winnipeg where he resumed his art career but, in 1921, decided to scout out the more lucrative market in Chicago. To cut costs he left Helen and the kids in Winnipeg and made the thousand-mile trip by bicycle. Within hours after his arrival in the windy city he was robbed and had to wire back home for emergency funds. During the '20s he found work with major advertising firms and magazines while studying part-time in some of Chicago's top art schools. 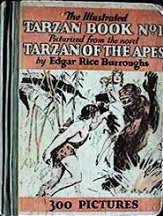 In 1927, Burroughs associate, Joseph H. Neebe, commissioned Foster to do an illustrated adaptation of Tarzan of the Apes. The result was 60 daily strips, each consisting of five captioned panels. Despite the high quality of this series, it was a bit of a hard sell. 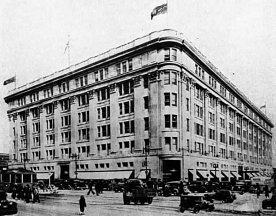 Eventually, however, it debuted on January 7, 1929 in about a dozen US and Canadian newspapers -- including the Halifax Chronicle. These strips were published in hardcover book format by Grosset and Dunlap in August of 1929. . . Reader response to the strips was overwhelming and distribution was taken over by United Features Syndicate. But, since Foster had returned to the advertising field, Metropolitan artist Rex Maxon was hired to take over the strip and in March 15, 1931, produced the debut Tarzan colour Sunday page as well. Burroughs was very unhappy with the quality of Maxon's work and eventually Foster was lured back to take over the Sunday series starting with the September 27, 1931 page. After an uninspired start, Foster soon adapted to this relatively new art form and his work became more inspired. In fact, his art improved so dramatically that the pages he created through the '30s are some of the best in the history of comics. In 1937 he moved on to create his own strip, Prince Valiant which he lovingly crafted until 1970. The art techniques and scripting skills he perfected in the Tarzan series served him well in this much-loved, critically acclaimed strip. Hal Foster died on July 25, 1982.